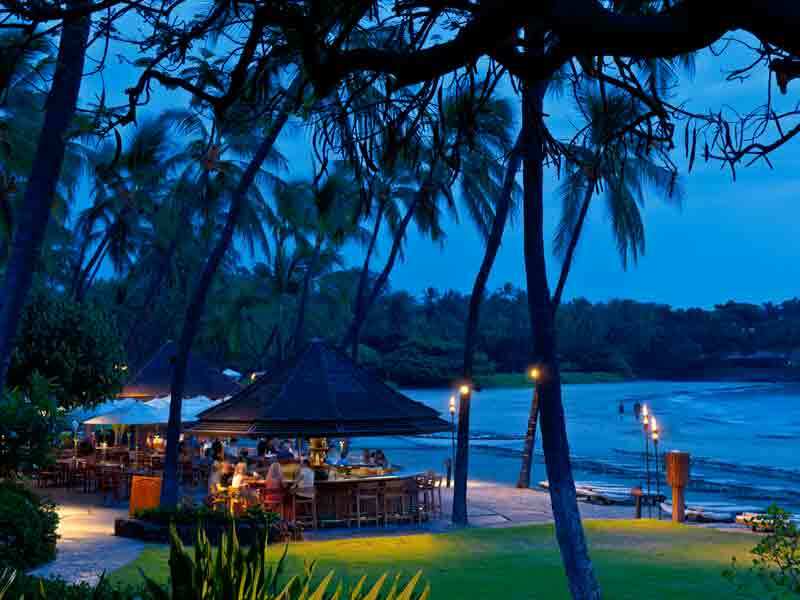 Discover private beach life at its absolute finest at the Mauna Kea Beach Hotel. Located on the North-West coast of the Island of Hawaii, this elegant resort looks over its own slice of the Kohala Coast. 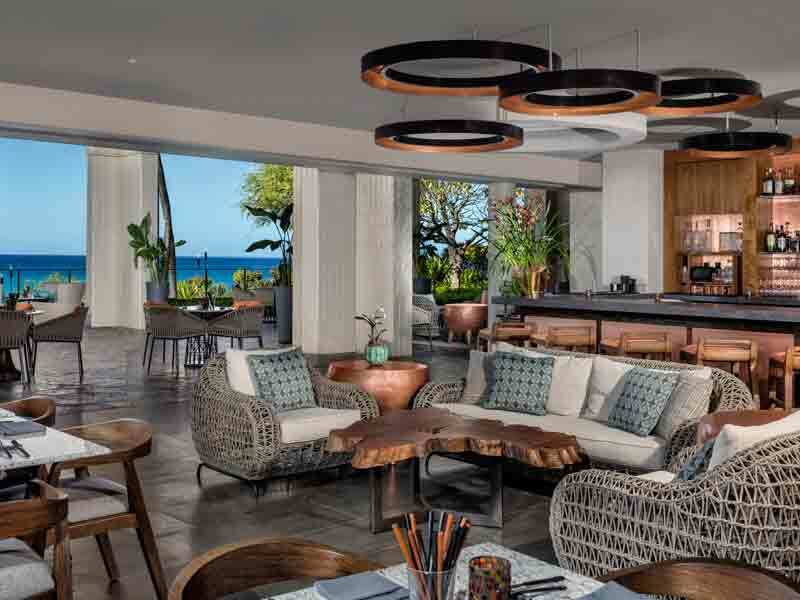 Situated around the headland from its sister-resort, the Hapuna Beach Prince Hotel, the Mauna Kea Beach Hotel offers private access to Mauna Kea Beach and reflects the spirit of its incredible location just as its founder, conservationist Laurance S. Rockefeller, intended. 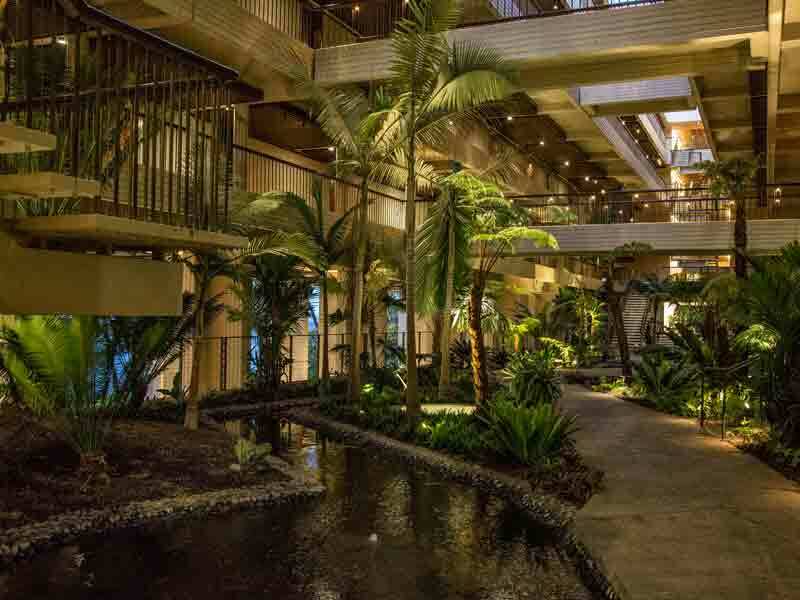 The Mauna Kea Beach Hotel is truly luxurious. 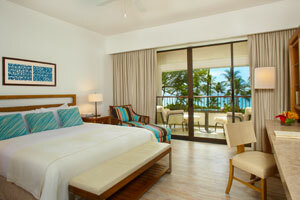 Each of the 252 spacious guestrooms feature at least 1 private balcony & contemporary, high quality comforts. With L’Occitane amenities, large high definition televisions, media hubs, and coffee makers with Kona Blend coffee, you’ll definitely feel like you’ve escaped to a tropical paradise! The beds are large & comfortable, and there is a nightly turndown service available. All of the rooms reflect the hotel’s tradition of understated elegance and room sizes cater for couples & families. You’ll never go hungry with 8 on-site restaurants offering different styles and cuisines with locally sourced ingredients. Enjoy fine dining with panoramic ocean views at Mata or grab a drink and indulge in the tapas menu at Copper Bar. Practice your swing on the lush, green fairways of the Mauna Kea Beach Hotel’s award-winning, 18-hole golf course. Experience Hawaiian culture with hula lessons or the Mauna Kea Collection Art Tour. 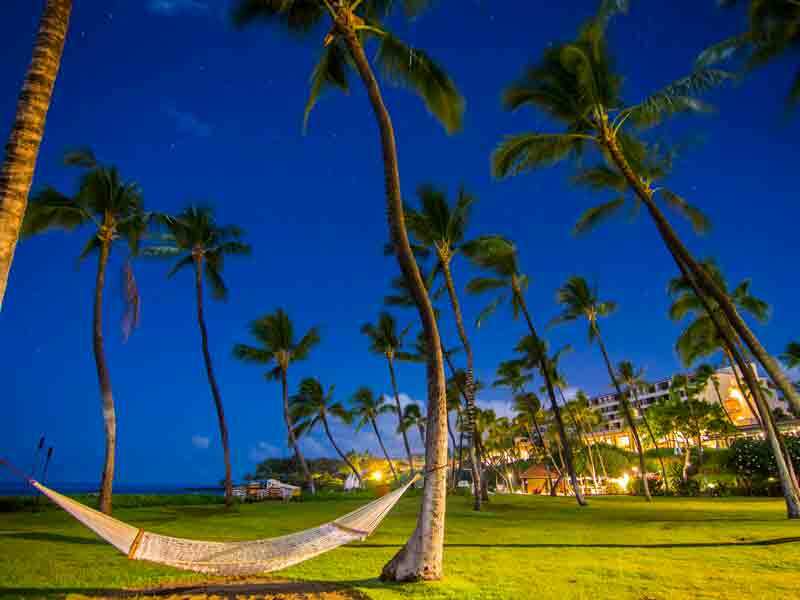 If you’re looking for a secluded, peaceful and stunning tropical resort that still has everything you need for the perfect holiday then Mauna Kea Beach Hotel is for you. Feel as though you’re in paradise as you breathe in the warm air from your private balcony that boasts panoramic views of the ocean or golf course. 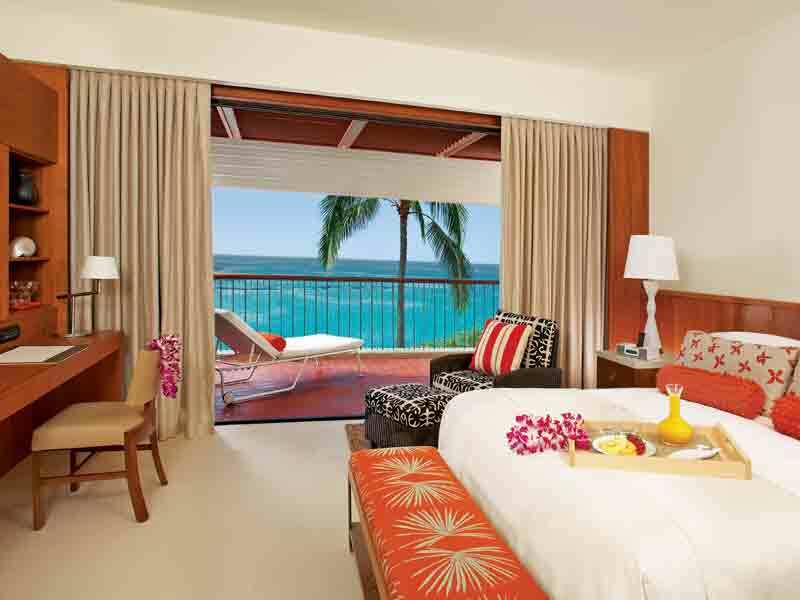 Sink your toes in the sand or splash in the turquoise waters with direct access to Mauna Kea Beach and Kauna’oa Bay. 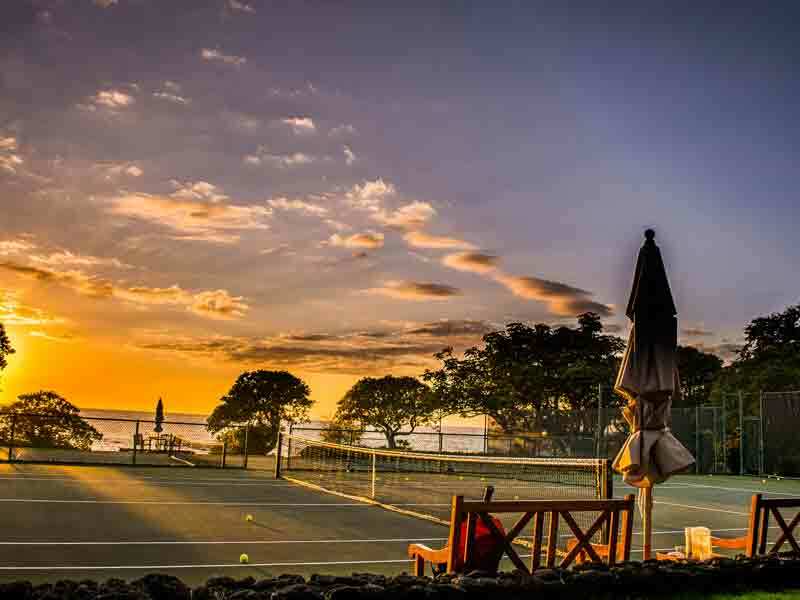 Featuring all the amenities and facilities that you would expect from a luxury hotel, including award-winning golf course, day spa, tennis court, multiple restaurants and more, The Mauna Kea Beach Hotel is the perfect place to base yourself, no matter your holiday intentions! 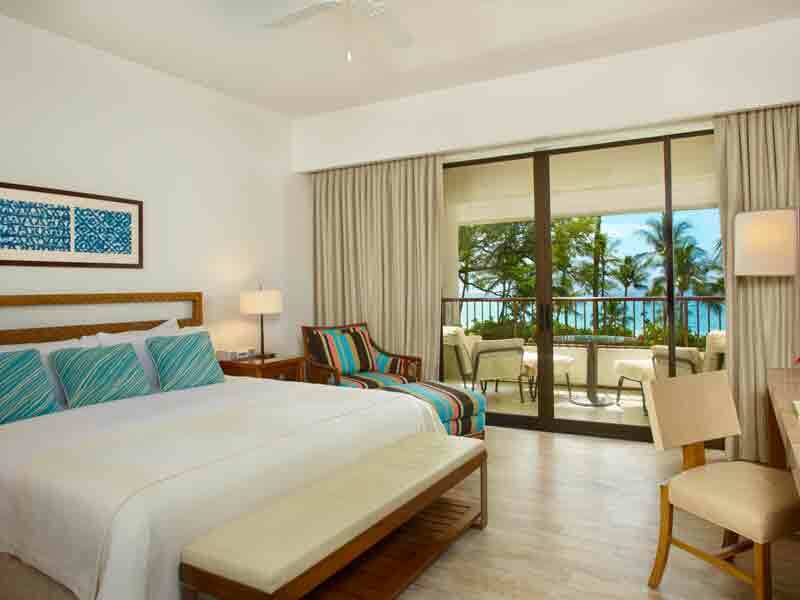 Located in the Beachfront Wing on the second to fourth floors the Beachfront Rooms feature a furnished private balcony to enjoy the oceanfront views. The elegantly designed rooms are complete with air conditioning, separate tub and shower, one king or two queen beds, refrigerator and TV. This room is 54sq. metres. 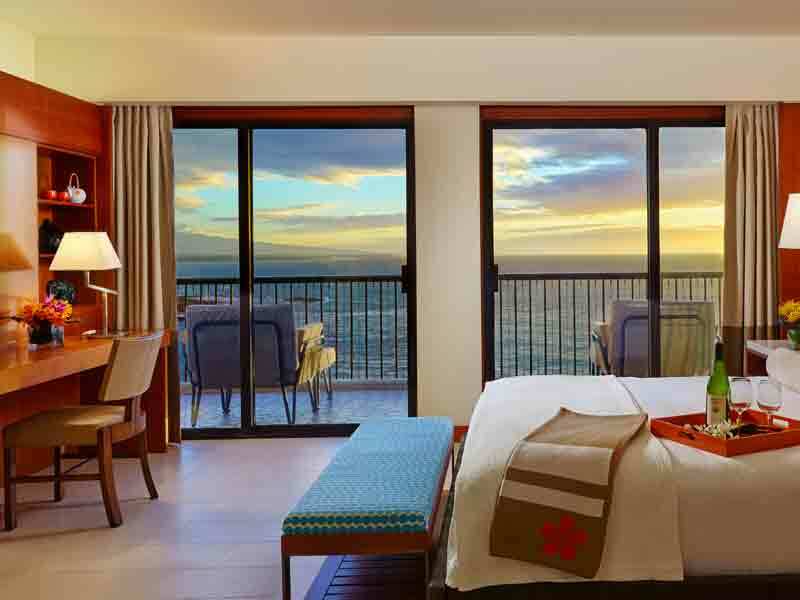 Enjoy unobstructed views of the Pacific Ocean and the coastline from the private balcony of the Ocean View Rooms. Located in the Main Tower from the 5th floor upwards these luxurious air conditioned rooms feature a king bed, tub/shower combination, refrigerator, TV and more. This room is 54sq. metres. The Mauna Kea Beach Hotel is on Hawaii’s ‘Big Island’ (Hawaii Island) positioned along the soft white sand beach of Kauna’oa Bay. 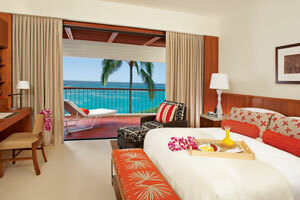 The resort is a 30-minute drive from the islands international airport and 40 minutes from Kailua-Kona. Together with sister property, Hapuna Beach Prince Hotel, the list of things to do is almost unlimited. 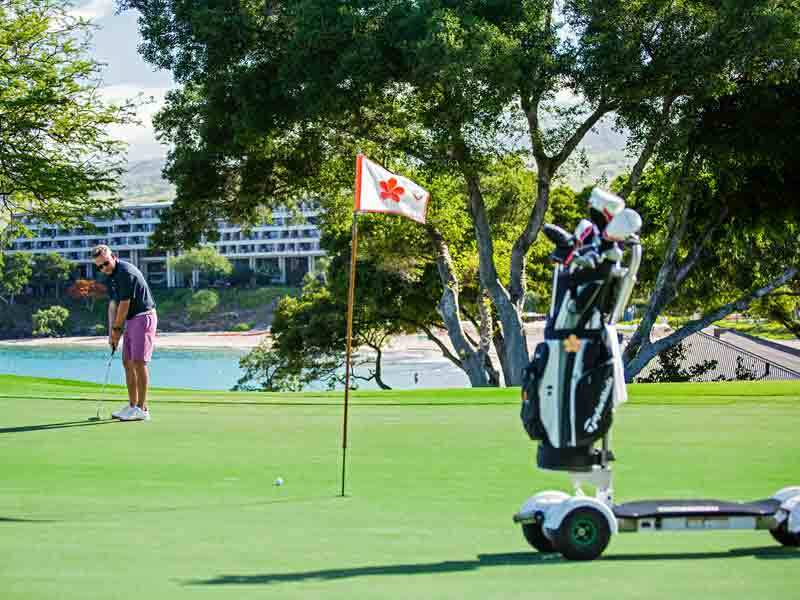 Practice your swing on the rolling greens of Manua Kea Beach Hotel Golf Course. Take a short stroll to the white soft sands of Kauna’oa Bay and enjoy the wide range of water sports. The resort has water sport equipment for guests to utilise including snorkelling gear, stand-up paddle boards, kayaks and more. Dive into an underwater world of majestic manta rays gliding graciously through water right at the resort with Manta Moonlight Night Snorkel. Don’t fret if you’re bringing the family, the resort offers daily complimentary activities not only for the kids but for adults too. Test your creativity with shell are or coconut weaving or get lessons from a local on hula and lei-making. Venture away from the resort to experience everything Hawaii has to offer. All within a close distance you’ll find popular island attractions such as Puukohola Heiau National Historic Site, Waipio Valley, Hawaii Volcanoes National Park, black sand beaches and Historic Hilo town. WOW! Absolutely one of my favourite resorts. The views are absolutely fabulous, many amenities and five-star customer service. In addition, the food selection was amazing! They even had an all you can eat seafood buffet with unlimited fresh lobster. I will definitely be back!!! Great for families, couples and friend trips alike.